The large temple has a history of more than 1000 years and many famous people found their final rest in its cemetery. 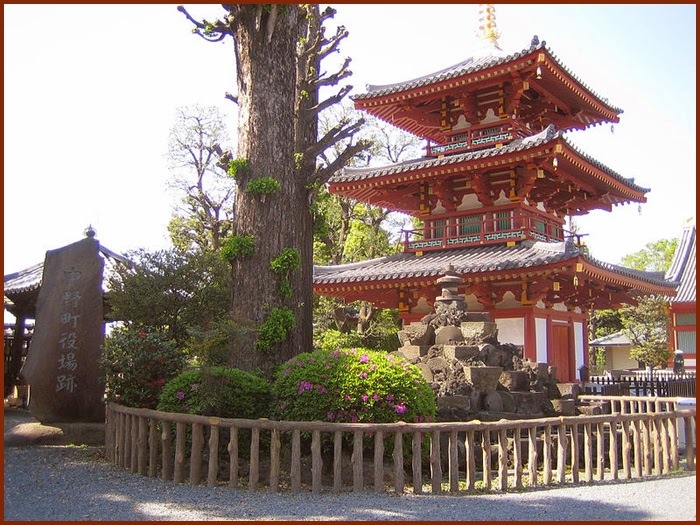 The founder is Minamoto no Yoshiie 源義家 (1039 - 1106) and the temple is now dedicated to Kobo Daishi Kukai. Yoshiie was on his way to war in the Tohoku region when he passed here and wanted a place for his personal protector statue of Fudo Myo-O. The deity then changed into a white fox and disappeared. 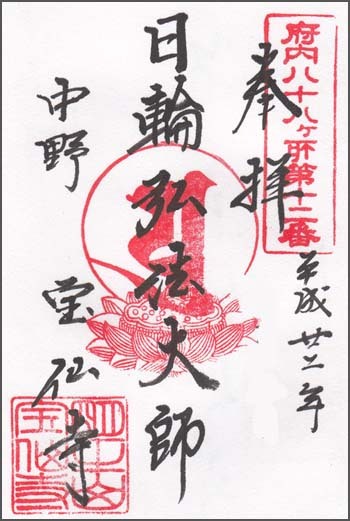 This is the origin of the name of this temple. At the Setsubun festival on February 2 it has a special parade of monk-soldiers 僧兵行列. 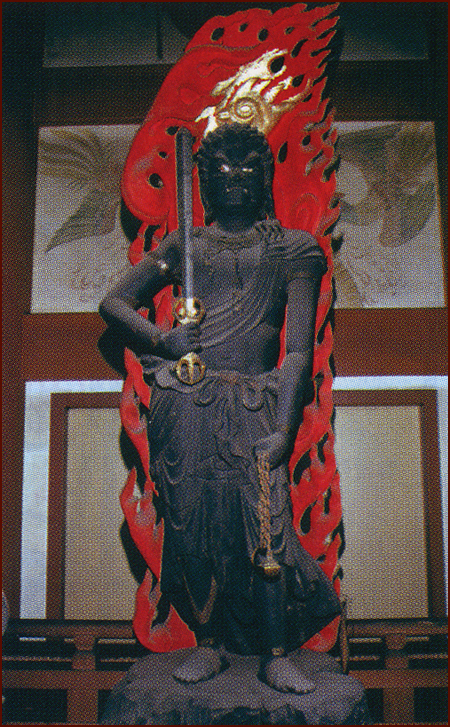 Its main statue is a 不動明王 Fudo Myo-O made by Rooben 良弁 Roben, but the statue is not shown. In front of its sanctuary is a Fudo statue carved by 願行上人 Gangyo Shonin (of the Kamakura period). The famous pagoda, one of the six pagodas of Edo. Built originaly in 1636. It was lost during the war but has been rebuild in 1992. 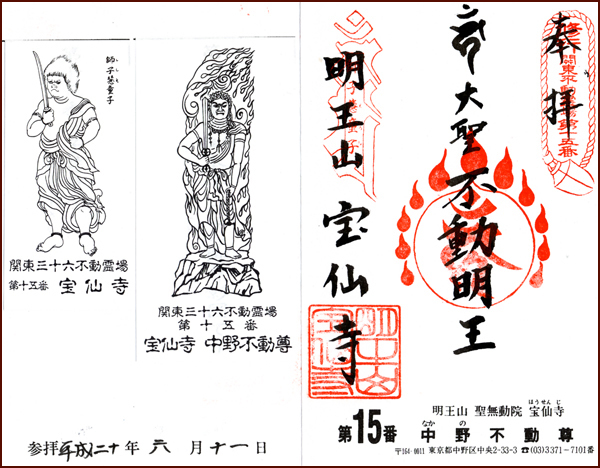 Inside are five statues of the Taizokai Mandala 胎蔵界五仏.
. Rooben Soojoo　良弁僧正　Roben Sojo　(689 - 773) . The temple was destroyed during WWII. All the buildings are new. 青井忠治 Aoi Chuji (1904 - 1975). The temple is related to 和田村八幡 Wadamura Hachimangu （大宮八幡神社 Omiya Hachiman Jinja). 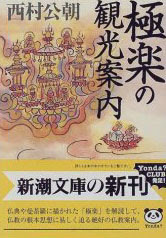 宝仙学園 Hosen gakuen for Buddhist studies. Hosen Gakuen Tanki Daigaku 宝仙学園短期大学 Hosen Gakuen College was was established in 1951, and closed in 2010.
. Shoosanji 焼山寺 Shosan-Ji, Shozan-Ji, Shikoku . 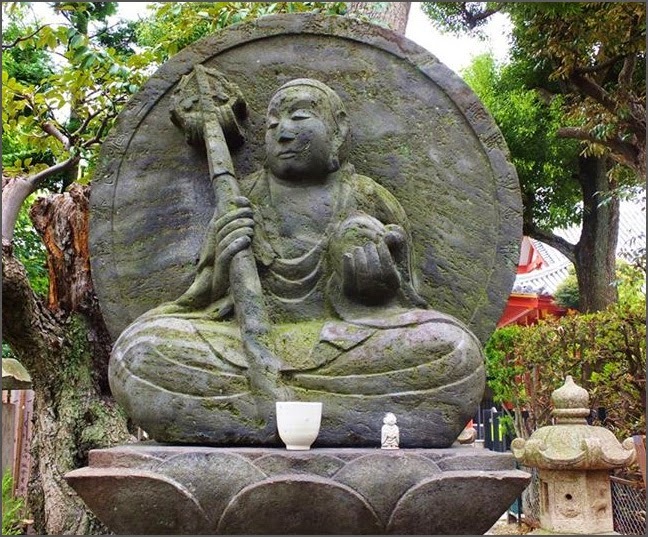 to make sure no one is left behind on the way to paradise.
. Jizoo Bosatsu (Kshitigarbha) 地蔵菩薩 Jizo . In the compound is also a mound with old used stone mortars. During the Edo period, many water wheels with stone mortars were installed along the river Kandagawa to make buckwheat flour, but with the introduction of electricity in our modern times, they were just left by the roadside. The head priest of the temple took pity on them and erected this mound in their honor.
. Legends from Nakano ward . At the temple Hosen-Ji there was a rumor that the statue of Jizo had caught smallpox. 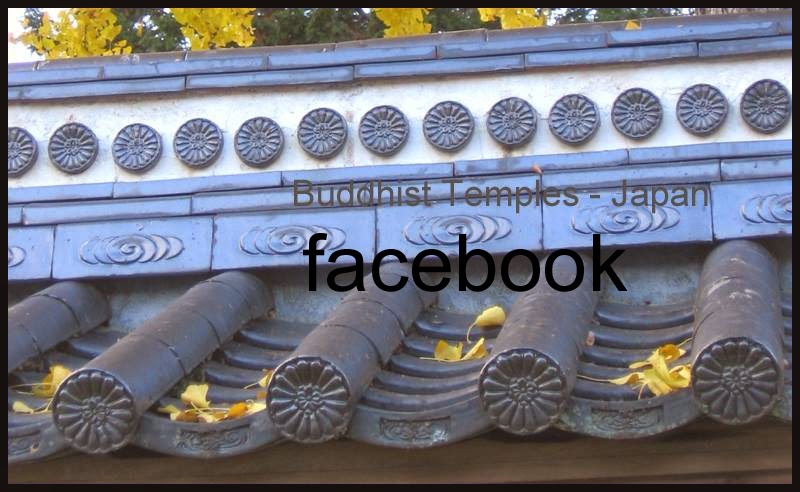 But, well, it was just a rumor.
. 関東三十六不動霊場 Pilgrimage to 36 Fudo Temples in Kanto .